A collection of Trevor Southey's art would be lyrical and compelling in the absence of commentary or written authorial musings. Interleaf the artist's own inward reflections, and you have the unique, forceful experience of Reconciliation. It is the rare opportunity to see how life impacts art, to discover the process whereby emotion is rendered as both a visual expression and individual release. Chronicling the influences of Trevor Southeys work, Reconciliation is striking in its honesty. Through its images and words a journey of courageous self-discovery is told, one which gives added meaning to the virtues of artistic integrity and personal growth. Reconciliation is a testament to the efficacy of several important notions: that our spiritual lives need not reside separately from our sensual and emotional needs; that contemporary art has not outgrown the usefulness or primacy of the human form, so expertly utilized by Michelangelo; and that the determination to meet life's hardships rewards us with surpassing beauty. Such ideas define a road less traveled, an approach to both life and art that threatens to marginalize the artist and man. Yet it is this sensibility which lends salience to Southeys work. The humanity portrayed in his art as reflected in everything from portraits to flowers to the splendor of the human form, generate thoughtful introspection on the part of the viewer. Southey writes: "Growth does not generally mean the killing of any part of oneself but the embracing of all enriching parts." This is the reconciliation that lifts and inspires, calms and gives peace. 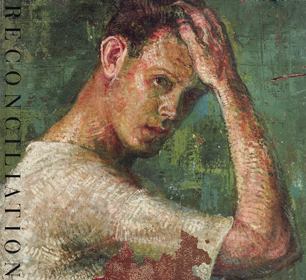 Reconciliation offers us an intimate look at the trials and triumphs of one of this generations finest painters. And in doing so, it goes well beyond the aesthetic beauty of his painting and sculpture; it awakens us to a sense of our own challenges and the infinite ability we possess to find the better part of ourselves. There are also three different limited collectors editions available. Each is boxed with numbered components signed by the artist. Edition size: 200 and 25 artists proofs. Please note: Because the original dust jacket was printed on a light weight stock, it was decided that a new design might as well accompany the heavier weight. The book will be shipped with the first jacket under the new one. Collectors might find this interesting, in which case it is advisable to have the original laminated for protection. The pursuit of truth in ones life and art often leads to conflict in ones self and confrontation with others. It is the very reason why most individuals choose the path of least resistance, paved with the stones of status quo, leading to predictable consensus. one must marvel at the candor of Trevor Southey in an age of evasion and fault deflection. Southey's core work explores the human condition in the tradition of beauty established in Italy by Renaissance masters and continuing on until the turn of the century with Rodin. His subjects range from experiences like birth, solitude and death to sensitive renderings of love and the family.